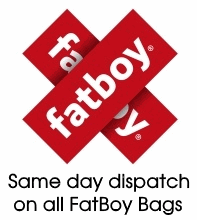 Our Extra Large bean bags are suitable for really lazing about on! From gigantic Cozi Pillows and Fatboy Originals, to the majestic Tibetan Sako. Most of these bags will take two people (if they don’t mind being a little cosy together). If you don’t want to share then these bean bags are perfect for lounging and laying down on. But make sure you can fit them in your house!